Aging. Everbody does it, nobody likes it (after their twenty-first birthday), and most of us like to pretend it doesn’t happen. I’m in my early forties and will milk that ‘early’ adjective as long as I reasonably can. I am still young enough to attack the day with verve, but I am old enough to have seen friends and former classmates pass away. I had my first major health scare this summer, which turned out to not be too serious, but I had to fess up to the fact that I’m too old to ignore these things. Already, my body doesn’t do everything I think it should. We age, and as we age we have to face our own entropic decay as we near our end of days. Send not to know for whom the bell tolls. It tolls for thee. Jennifer Grant is the former health and family columnist for the Chicago Tribune, and author of four previous books, including editing the devotional Disquiet Time, (Jericho Books, 2014) and adoption memoir Love You More (Thomas Nelson, 2011). In When Did Everyone Else Get So Old? 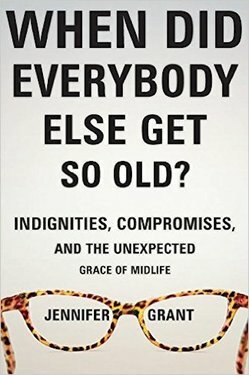 Indignities, Compromises and the Unexpected Grace of Midlife (Herald Press, 2017), she explores our ephemeral existence and what it means to grow old. With good humor and faith, she describes transition—sagging and emptying nests—the loss of friends and loved ones, and retooling vocation. The nineteen chapters in this book are autobiographical essays on the theme of aging. Grant’s literary voice is reminiscent of Anne Lamott (minus the F-bombs), though her faith and life experience are different. She weaves her observations on life together with biblical and theological reflections. Notice of material connection: I received a copy of this book from Handlebar Media in exchange for my honest review. A brand new Frederick Buechner book that isn’t just a hodgepodge of previously published materials? Yes please. The Remarkable Ordinary was born from material of Buechner’s, unearthed from a 1987 Norton lecture, and 1990 lecture from Laity Lodge, edited by John Sloan. Here, Buechner reflects on the sacredness of ordinary life, calling us to stop, look and listen to life. While this book was not prepared for publication by Buechner himself, these are very much his words and sensibility. Jesus says the greatest commandment is loving God and loving our neighbors. I don’t know what it means to love God—really, I’m all that good at it—but one of the things it means is, just as in the case of loving anybody else, you stop and watch and wait. Listen for God, stop and watch and wait for him. To love God means to pay attention, be mindful, be open to the possibility that God is with you in ways that, unless you have your eyes open, you may never glimpse. He speaks words that, unless you have ears open, you may never hear. Draw near to him as best you can. (36-37). And I think what she meant is that at a certain level we do, all of us, with all our differences, we do have the same story. When it comes to the business of how you become a human being, how do you manage to believe, how do you have faith in a world that gives 14,000 reasons every week not to believe, how do you survive—especially surviving our own childhoods as Maya survived hers and we’ve all survived ours—at that level we all have the same story, and therefore anyone’s story can illuminate our own. (53). The “subterranean Grace of God” that shows up in our lives are exemplified as we spy the whiskey priest in Graham Green’s The Power and the Glory, or in Buechner’s own Leo Bebb novels (62, 64-67). In Part 3, Buechner reflects deeper on his own story, traversing familiar ground to those familiar with his autobiographical works, his father’s suicide and learning to face the pain, vocation and the journey toward wholeness, the presence of peace, and hope. What makes Buechner such a good writer, is how honestly he is able to cross-examine his own spiritual experience, without resorting to trite platitudes and Christian cliché. His call to us to attend to the remarkable ordinary, rests on the conviction that God and his subterranean grace haunt our lives—the mundane, the significant, the quotidian and the grotesque—and we will see and hear a Presence it if only we can stop, wait and listen. Art and literature, and telling one’s story help us to pause and take notice. “So, art is saying Stop. It helps us to stop by putting a frame around something and makes us see it in a way we would never have seen it under the normal circumstances of living, as so much of us do, on sort of automatic pilot, going through the world without really seeing much of anything” (23). This is what Buecher’s novels and memoirs accomplish. They frame reality, so if for a moment, we can see. Frederick Buechner is one of my favorite authors. He is a writer of enigmatic fiction with strange and conflicted characters (e.g. the holy and profane Godric, an unsaintly, Saint Brendan, and the unlikable religious charlatan Lou Bebb), as well as sermons and theological musings, and poignant memoirs which wrestle with darkness, grace and calling. A Crazy, Holy Grace: The Healing Power of Pain and Memor y is vintage Buechner. Quite literally, in fact. 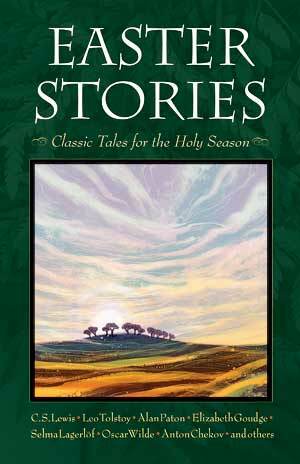 Most of this book is culled from the Buechner canon with selections from The Sacred Journey, The Clown in the Belfry, Beyond Words, A Room Called Remember, Secrets in the Dark, Telling Secrets. However, the opening chapter, “The Gates of Pain,” is an unpublished lecture he gave, describing ways we can best steward our pain. I typically am not fond of books of ‘selections,’ as they wrest passages from their context, catalog, and put them on display, like the bones of an ancient man in a museum. It is so much better to experience a book (and the person!) with its joints and sinews, muscle and skin, passion and intellect, embodied the way its Author intended. That being said, the themes of pain, loss and memory haunt Buechner’s works and these selections are well chosen. The lion’s share comes from just two works, with large swaths from The Eyes of the Heart and Beyond Words and supplemented by the Sacred Journey and the other books. The book is broken into two principal parts. Part 1 describes pain (chapters 1 and 2) and part 2, memory (chapters 3-6). A third section of the book posts shorter reflections on secrets, grace, depression, death and the ways God speaks. Buechner begins the “The Gates of Pain” by describing an episode related to his father’s alcoholism during his childhood. Someone had told him after hearing the story in a talk he gave, “You have been a good steward of your pain” (16). The essay weaves our universal experience of pain, with the parable of the talents inviting each of us to trade life, what we’ve been given—joy and sorrow—with those around us, inviting us to likewise steward our pain. “What does it mean to trade? I think it means to give what you have in reutrn for what you need. You give of yourself, and in return you receive something from other selves to whom you give”(26-27). Buechner tells of an out-of-town friend who showed up unannounced to sit with him as he was consumed by his daughter’s struggle with anorexia (27-28). He challenges each us to learn to not only share uncontainable joys but to open up the door into our pain, share our struggle and allow God’s miraculous healing to enter our lives (28). Jesus doesn’t come to us in his own flesh but through the guise of the other, so, Buechner contends, trading pain, allows us to experience His healing presence. “Joy is the end of it. Through the gates of pain we enter into joy” (32). The second chapter is the passage in The Sacred Journey that describes Buechner’s father’s suicide and its aftermath. It is probably fitting that as I read part 2 on memory, I was remembering passages and people I had read before. Buechner remembers pain, loss, relationships with friends and family and the way his father haunts his life. He describes the interplay between hope and remembrance, between hope and expectation. To remember my life is to remember the countless times I might have given up, gone under, when humanly speaking I might have gotten lost beyond the power of any to find me. But I didn’t. I have not given up. And each of you, with all the memories you have and the tales you could tell, you have also not given up. You also are survivors and are here. And what does that tell us, our surviving? It tells us that weak as we are, a strength beyond our strength has pulled us through at least this far, at lest to this day. Foolish as we are, a wisdom beyond our wisdom has flickered up just often enough to light us if not on the right path through the forest, at least to a path that leads us forward, that is bearable. Faint of heart as we are, a love beyond power to love has kept our hearts alive. (61-62). One of the gifts that Buechner has given his readers and the church, is a reflective understanding of how pain shapes our journey. But not just pain. There are also the feeble ways God’s grace breaks into our lives, bringing hope, healing, and wholeness. As fantastical though it seems. The world we are living in is filled with walking wounded. Broken relationships, news cycles dominated by natural disasters, racial violence, sexual harassment, and assault. Even so, come Lord Jesus. In the meantime, we need friends to come and share the journey with us and so mediate Christ’s presence to us. Buechner testifies to the power of sharing our pain with others and has shown us how to trade pain in his prose. Joni Eareckson Tada’s story is well known among evangelicals. In 1967, at the age of seventeen, a diving accident left her as a quadriplegic. This led to struggles with depression, suicidal thoughts, and a crisis of faith. Two years later, Tada emerged from the darkness to become an artist, a Christian speaker and author. She is respected for strong and enduring testimony and she is a tireless advocate for the disabled. Her openness about her own struggles with depression, chronic pain and doubt has encouraged millions. Tada’s latest book, A Spectacle of Glory, is a 365-day, daily devotional designed to help readers put God’s glory on display, even in the midst of difficult, trying circumstance. These daily devotions consist of a Scripture verse reference (occasionally a version of the Bible suggested), a couple of paragraphs reflection and exhortation and a short prayer. The scripture references consist of one to three Bible verses for each day. As someone who enjoys studying the Bible, I don’t usually go for the daily-verse type devotionals; however the brevity of these devotions is one of its best features. I have friends who have suffered from chronic pain, Parkinson’s, or have undergone mind-addling medical treatment. This zaps their energy and destroys their ability to concentrate for longer periods. Reading long swaths of Scripture or doing deep study is not feasible. What they need is an encouraging word. in the midst of their circumstance. And Tada delivers. With more than fifty years of faithful Christian service as a quadriplegic, she speaks with integrity about what it means to persevere, our strong hope and the robust character of Christian joy. If you are in the market for a devotional in 2017, this may be a good choice. Note: I received this book from Handlebar media in exchange for my honest review.